I challenge all my readers to learn the locations of different countries in Africa. Today we'll start with Egypt. 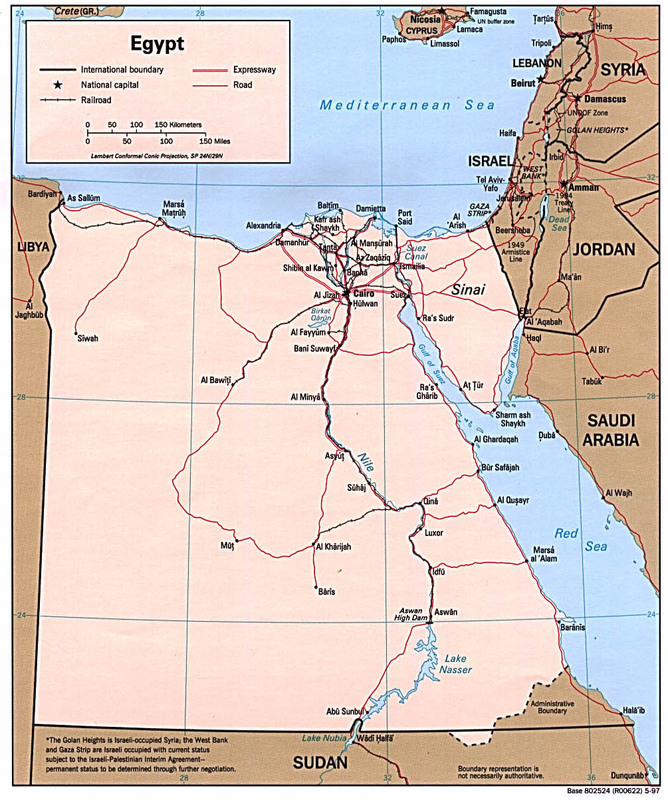 Egypt is located between the Red Sea, Israel (East), the Mediterranean Sea, Libya (West), and Sudan (South). The Nile (which runs from south to north) is a very noticable geographical feature. Near the mouth you'll find the major cities of Alexandria and Cairo as well as the Great Pyramids. Alexandria - the city was founded by Alexander the Great and it is the site of the Lighthouse of Pharos (one of the Seven Wonders of the Ancient World).